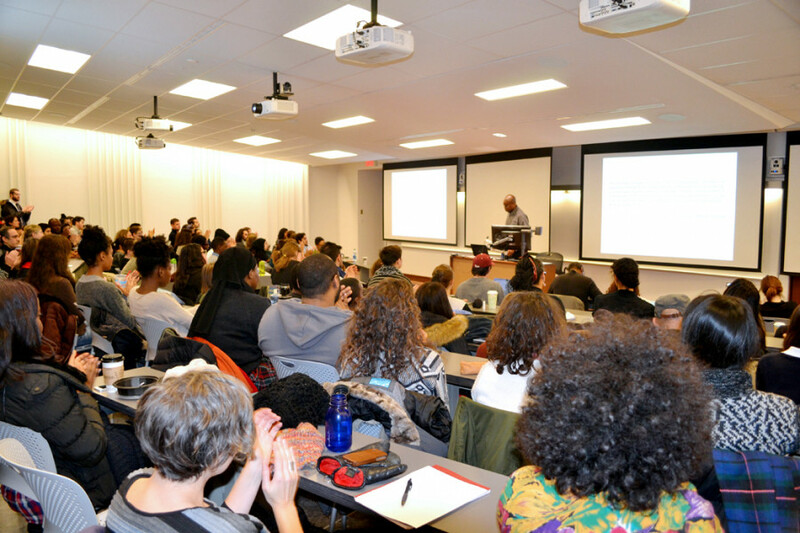 An important contributor to studies on race relations in Canada and the U.S., Stewart, spoke about what it means to be a black Canadian in the 21st century as part of the Talking Black to Canada lecture series at McGill University. He is the author of Visitor: My Life in Canada, which explores race relations in Canada—a country lauded worldwide for its multicultural richness, but in reality plagued with issues regarding race identity. Standing 6’6’’ tall, Stewart’s second book You Must be a Basketball Player: Rethinking Integration in the University, is inspired by always being called one in public. 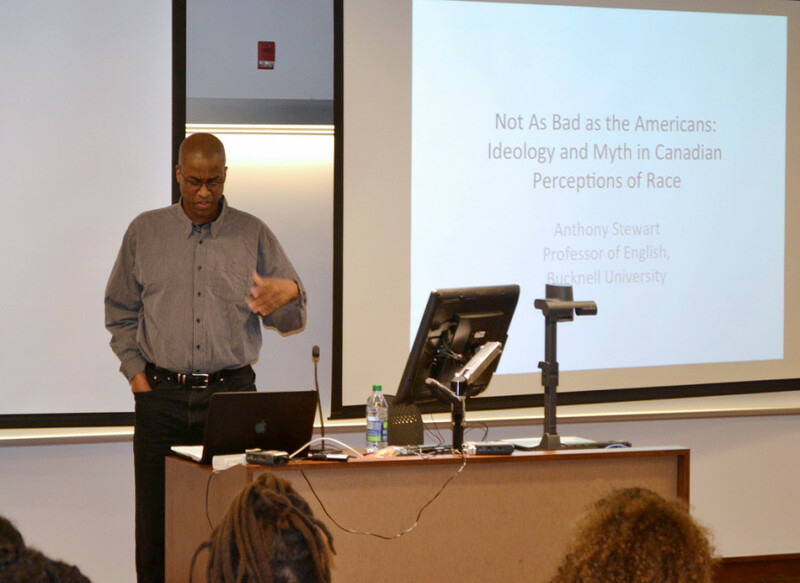 Armed with a PhD from Queen’s University and currently an English professor at Bucknell University in Pennsylvania, Stewart spent the hour exploring the theme of what it means to be black in Canada, and—as part of a larger context—North America. 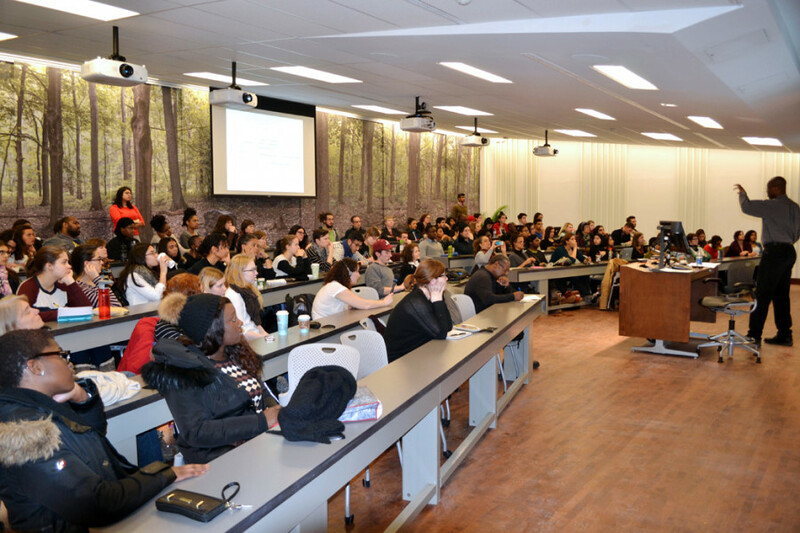 People of all races and ethnicities gathered in a small room in McGill’s arts building. Touching on the theories of myth and ideology of philosophers Louis Althusser and Roland Barthes, Stewart demonstrated how, in a way, we’ve become complacent with the current racial situation in this country. He also addressed the issue of police and black men. Growing up in Kanata, Ontario, Stewart talked about being the only black kid in his school and the struggles that came with it. He explained how one of the issues with racism in Canada is that while Canada calls itself a haven for immigrants and refugees alike, there are still many deep-rooted preconceptions of what it truly means to be Canadian. Being of Caribbean descent growing up in suburban Ontario, that couldn’t have been farther from the truth.